We know that an “iPhone X Plus” is coming later this year, but there hasn’t been much information about the device’s form factor specifics. A new report released today changes that. Japanese news site Macotakara has revealed a handful of alleged details about the upcoming 6.5-inch OLED iPhone. For example, the site says that the top-tier device will be about the same size as the current-generation iPhone 8 Plus — a device with a smaller 5.5-inch display. That’s largely due to the significantly slimmer bezels that are expected on the iPhone X Plus, allowing for a larger display in a smaller footprint. 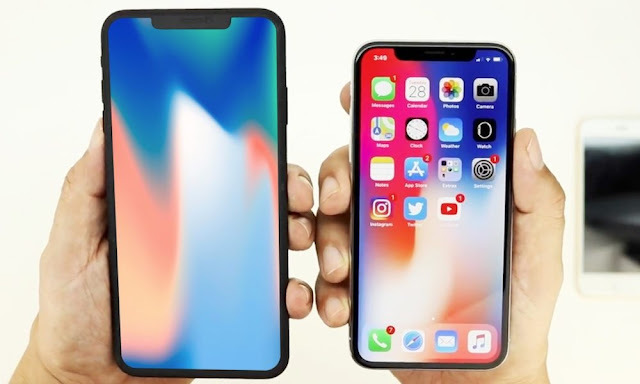 For comparison’s sake, the 2017 iPhone X is only slightly larger than the iPhone 8. But it sports a 5.8-inch display, compared to the iPhone 8’s 4.7-inch screen. The site did add that the device could be slightly thicker (by about 0.2mm) than the iPhone 8 Plus, due in large part to how the rear camera is mounted. Macotakara said it cited a reliable source within Apple’s supply chain. The site also has a pretty solid track record of reliable information. But it’s worth noting that nothing is set in stone quite yet. Macotakara also revealed several details about Apple’s other upcoming products. For one, the outlet writes that the 5.8-inch OLED iPhone X successor will retain the same display size and chassis of the current-generation model. The camera sensor and lens will be slightly larger, however. The report also backs up rumors that the lower-cost iPhone will sport an LCD display, but notes that it might clock in at 6 inches (rather than 6.1-inches, as other reports indicate). The mid-range iPhone is also expected to sport a TrueDepth Camera and Face ID. Lastly, Macotakara says that iOS 12 will introduce horizontal support for Face ID authentication — which makes even more sense if rumors of Face ID coming to Apple’s iPad Pro lineup actually pan out. The new report generally backs up other rumors about the 2018 iPhone lineup — and it also fills in other details we haven’t heard yet. We largely expect three new iPhones to be unveiled in the fall: an iPhone X successor, the iPhone X Plus, and a midrange LCD iPhone. All are rumored to adopt Face ID and an edge-to-edge display design. As far as pricing, analyst reports suggest that the iPhone X could drop down to $899, with the iPhone X Plus taking its place in the $999 price tier. The mid-range iPhone with a 6.1-inch display could start at $700+. But, again, nothing is set in stone at this point.